For both June 7th and June 28th, 1965, Jim noted in his journal that he taped three pieces for trumpeter Al Hirt’s popular show Fanfare. He then listed them: “Cool Jazz”, “Robot”, “I’ve Grown Accustomed to Your Face”, “Java”, “Two-Headed Monster – Piano Bit”, “Balloon Conductor”. 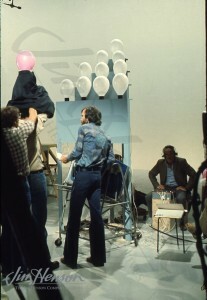 Jim was a fan (he had three Hirt albums in his record collection) and clearly pulled out all the stops for this popular program. 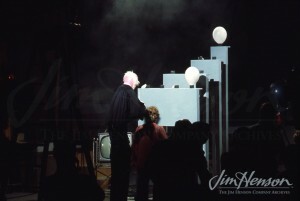 One of the pieces featured a drawn out bit of wordplay that would have tickled Jim and his writer Jerry Juhl – it starred an orchestral conductor whose head was made out of a balloon which, of course, popped… as in the Boston Pops Orchestra. Clearly, Jim and Jerry thought this was a very good idea and reprised it more than ten years later on the Peter Ustinov episode in Season 1 of The Muppet Show. Learn more about the various pieces Jim did on Al Hirt’s show including “Java” which debuted there. Jim performing the Balloon Conductor on The Muppet Show, 1976. 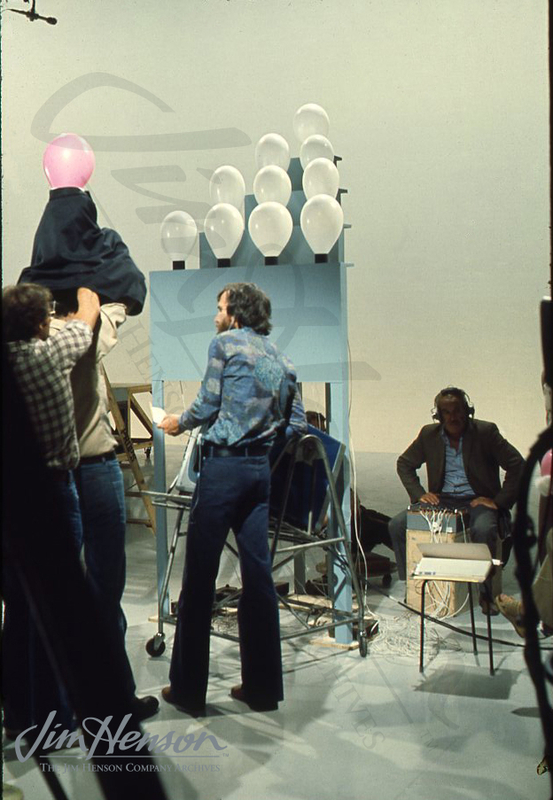 Behind the scenes during the “Balloon Conductor” bit on The Muppet Show, 1976. 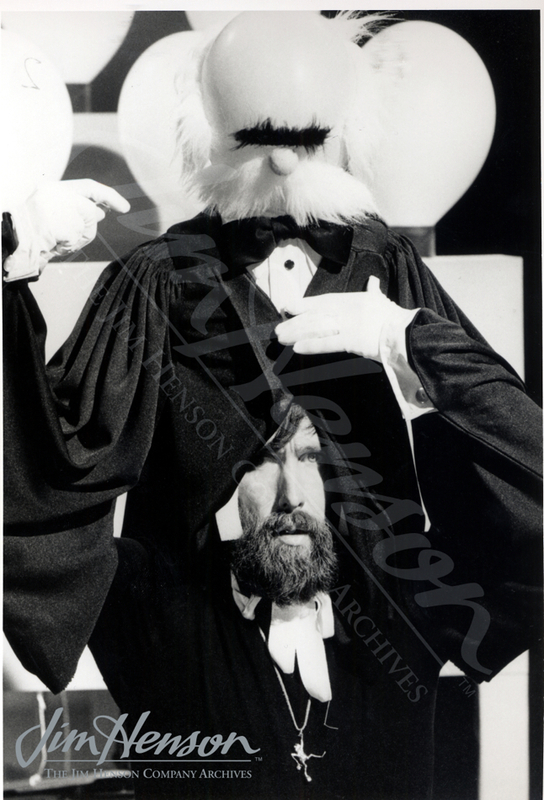 This entry was posted in 07-July '65, 1965 and tagged Boston Pops Orchestra, Fanfare, Jerry Juhl, The Muppet Show. Bookmark the permalink.